ICYMI: Ugly is cool now. This isn't really breaking news (you'd be living under a rock if you didn't notice this already), but its worth some commentary since we like to comment on fashion movements... and make no mistake, ugly fashion is a movement. When you really think about it, high fashion has always embraced the "ugly"... another word for ugly in this context could be "unexpected". We're all accustomed to seeing runway looks that make zero sense in the real world. So, by that definition, ugly fashion isn't necessarily new... BUT I'd argue that ugly fashion is flying in the face of predefined fashion rules and challenging our notions of coolness. This is a good thing— fashion of my generation has been largely dominated by designers and big retailers recycling and reimagining trends from past decades (i.e. the roaring 20's, hippie 70's, grunge 80's). I think with the erosion of "fashion rules", we've finally entered into an era of real innovation, giving the 2010's its own distinct style. 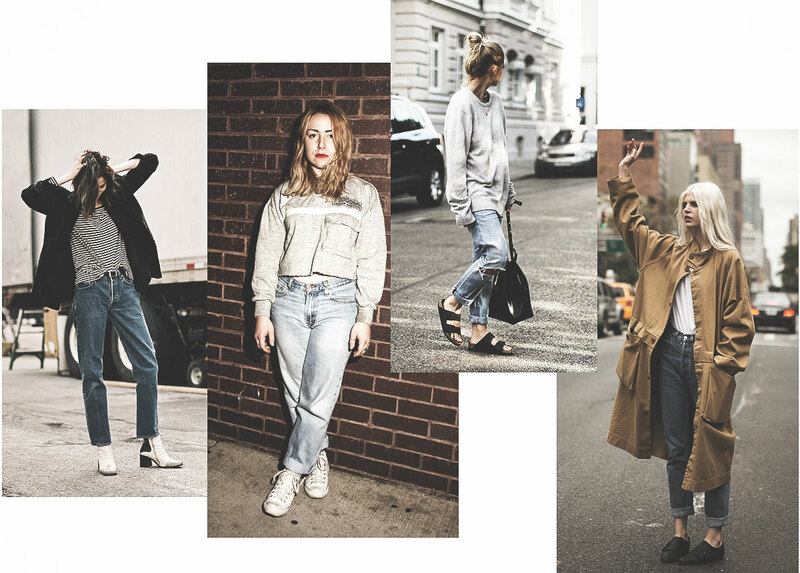 There are many factors feeding into the overarching movement, beginning with the hipster trend followed by normcore— the rise of an anti-fashion attitude that has ironically become fashionable. 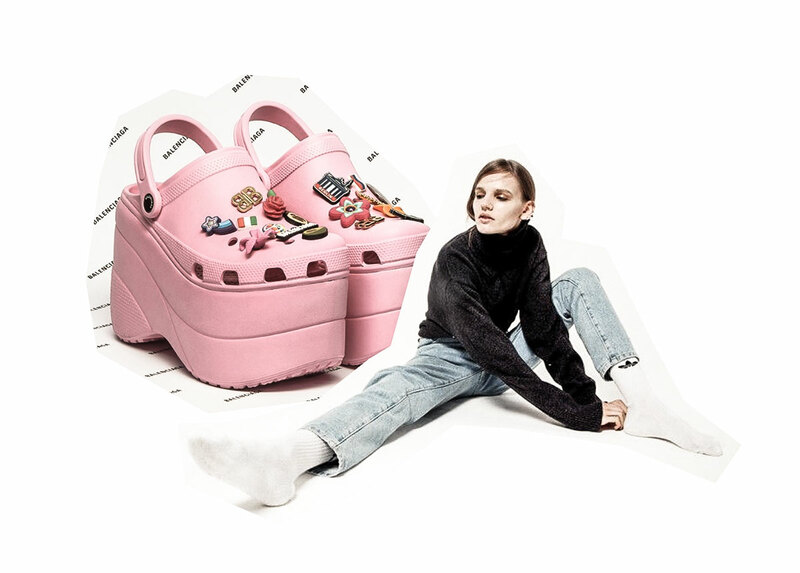 Coined by trend-forecasting agency K-Hole, normcore is what sparked the extraordinarily average mom/dad jean + Birkenstock/white sneaker uniform you see all the cool kids wearing. AKA the ugly fashion we're talking about now. Its finally cool to be uncool. As a girl who was rarely considered cool growing up, I feel some responsibility to support the hell out of this movement like an actual dream come true! I realize there's a knee-jerk reaction to reject ugly fashion, because of some preconceived notion that fashion should be pretty. Believe me, I love beautiful things and I'm not advocating to take beauty out of fashion by any means... but asking that we all remember that thinking outside the box is what makes fashion an expression of art. The '90s came to an end eventually — and so, too, will ugly fashion, just like every trend before it. So once ugly fashion becomes mainstream, it will inevitably flip. And at today's rate of trend turnovers, that might be sooner than we think. I think we should take full advantage of this laissez faire attitude in the fashion world— truly ANYTHING GOES and that's a trend I can really get behind. If you like the dad sneakers, wear the dad sneakers! The fanny pack is a genius invention and should not be considered a trend! "Normcore itself became a kind of maxed-out signifier," K-Hole cofounder Emily Segal tells Vogue.com. "I think where we found ourselves was thinking, Where do you go from here?" That's where magic comes in. It's not necessarily spells and witches, it's more the spiritual sort of magic. It's the kind of magic that just happens, that allows people to stop over-thinking and over-analyzing things."